Shopping at farmers’ markets and food co-ops can give you greater connection with your food. But it's when you get your hands in the dirt that you can really feel the many benefits of local food! Here we bring you some inspirational folk redefining gardening in urban spaces - as well as showcase some outstanding farmers’ markets if you'd prefer leave the growing to others! Ron Finley plants vegetable gardens in South Central LA - in abandoned lots, traffic medians, along the curbs. Why? For fun, for defiance, for beauty and to offer some alternative to fast food in a community where "the drive-thrus are killing more people than the drive-bys." 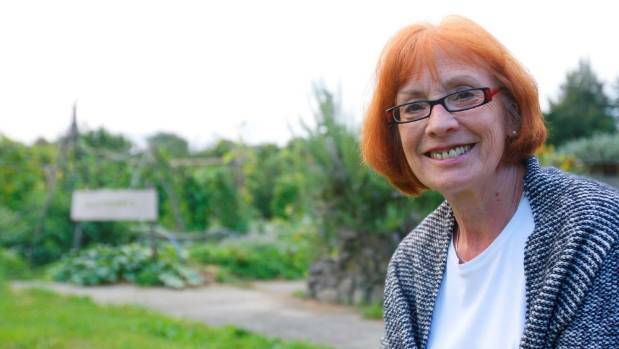 With energy and humor, Pam Warhurst tells how she and a growing team of volunteers at Incredible Edible, an initiative in Todmorden, England, came together to turn plots of unused land into communal vegetable gardens, and to change the narrative of food in their community. Jess Miller talks in this short vid on the challenges of attempting to feed 2,200 people in the Sydney Opera House audience of TEDxSydney 2013 using only home grown & locally grown food. Jess began 'Grow it Local' in 2012 - a project that celebrates backyard, balcony, community and windowsill food farming in urban areas. " The Adelaide Farmers' Market Showground has on average 90+ stalls per week. You can search for produce and stallholders at the market here. On 12 September 2016 the Adelaide Showground Farmers' Market was awarded the trophy for Outstanding Farmers' Market by delicious. Produce Awards 2016. The Bondi Farmers Market is held every Saturday from 9 am – 1 pm at Bondi Beach Public School. The Market brings you fresh seasonal fruit & vegetables, organically grown meat & poultry, just picked flowers, artisan breads, homemade jams, farmstead cheeses, seafood, olive oils, herbs, spices and more. Veg Out St Kilda Farmers’ Market has been running for over 11 years, is an accredited VFMA farmers’ market, and is held on the first Saturday of each month. Located at Veg Out - an organic, chemical free community garden run by volunteers and located in St Kilda, Melbourne, Australia. Grab your hessian bag: it's time to start eating local, farm-fresh food! Wagga Wagga is in the heart of Australia's biggest inland food bowl. Yet the regional city offers 11 fast food outlets for every fresh food store. The community decided to do something about it by setting up a local farmers' market.